Mario Balotelli’s agent, Mino Raiola, has joked that the only way to stop him from getting into trouble, is to “cut his tongue out”. 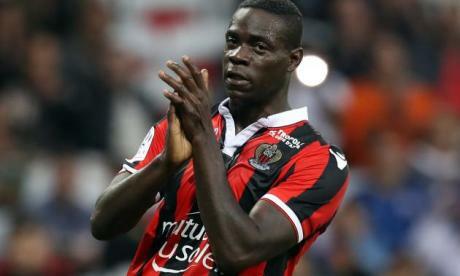 Balotelli was sent off for swearing at referee Tony Chapron, during Nice’s win at Lorient last weekend. It is the second red card he has picked up in Ligue 1. “I have already found the solution – we’re going to cut his tongue out,” Raiola told RMC. “To play football, you don’t need a tongue, so we’re going to cut it out. Balotelli will serve a one-match ban, meaning he will miss the league game against Montpellier on Friday. The Italian frontman has scored nine goals in 14 league games.